Brooklyn Ballet presented The Brooklyn Nutcracker, a re-imagined holiday classic which transforms familiar Nutcracker characters and scenes to represent the diverse traditions and vibrant culture of melting pot Brooklyn through ballet, hip hop and a variety of world dances. Please visit The Brooklyn Nutcracker webpage for more information and ticket purchase. Read Broadwayworld.com's preview article on The Brooklyn Nutcracker. In partnership with DanceParade, the Red Silk Dancers participated in Winter's Eve at Lincoln Square. Round Robin started as a free trilingual community-centered newspaper in Chinese, English, and Spanish. The first issue was centered around residents and conversations related to communities in Chinatown/Two Bridges. In Summer 2018, the newspaper will come to life as a gathering around conversations about language access, immigration, and gentrification in Seward Park. Round Robin will be a collaborative forum to build a network of communication channels that involves creative forms of expression through art making and social gatherings in the LES/Two Bridges/Chinatown neighborhoods. 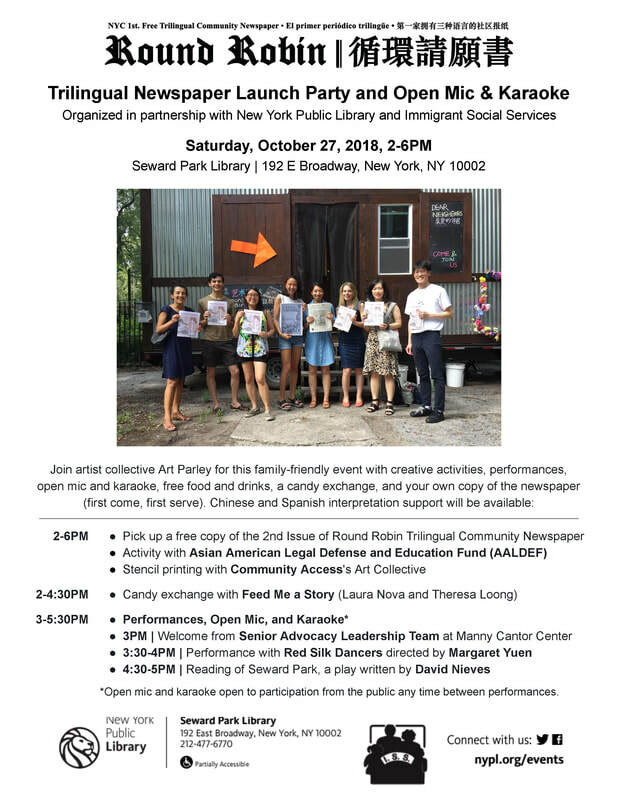 Local residents and immigrants of all ages are invited to participate in a multilingual space at Seward Park with translation and interpretation in Chinese dialects, English, and Spanish, allowing for connections and exchange beyond linguistic and cultural barriers. The Red Silk Dancers joined members of Dances for a Variable Population, seniors from DVP's free programs and guest artists in an annual multi-generational celebration of dance. 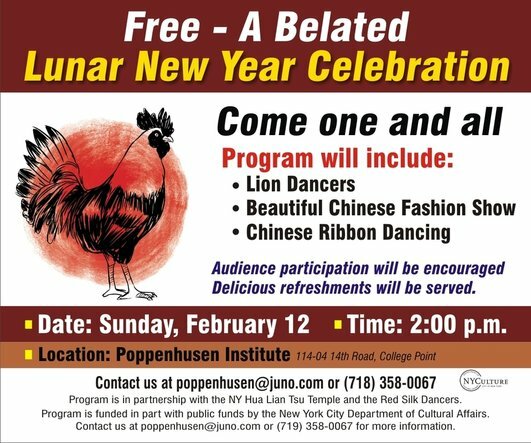 Lunar New Year celebration featuring the Red Silk Dancers, lion dancing, and a fashion show.